"... remission of 40,9% at the 6th week) and in remission maintenance (percent of patients in clinical remission ..."
"... remission maintenance. Summary. Recent data indicate essential changes of intestinal microbiota in IBS ..."
"... bowel disorder is manifested by recurrent abdominal pain that develops at least once per week ..."
"... clinical remission of the disease (decrease of the total score of «7×7» Questionnaire for 50% and more ..."
"... significant response to high-dose chemotherapy and achieved long-term remission. Summary. Male 38-year-old ..."
"... and a pronounced eosinophilic infiltration of the esophageal mucosa. The EoE diagnostics is based on the clinical ..."
"... . The efficacy control of antihelicobacter treatment should be carried out not earlier than 4 weeks after the end ..."
"... Aim of clinical case presentation. To discuss the consequences of erroneous management approach ..."
"... clinical remission. Conclusion. Progression of Crohn’s disease with involvement of terminal ileum can ..."
"... of conclusive clinical and endoscopic remission within 4-8 wks of treatment by standard dose of proton pump ..."
"... -alpha 2b (Pegaltevir®, LLC «FARMAPARK», Russia) and carrying out doublestaged randomized open clinical ..."
"... underwent interferon­free therapy by ombitasvir/paritaprevir/ritonavir, dasabuvir and ribavirin for 12 weeks ..."
"... Aim of review. 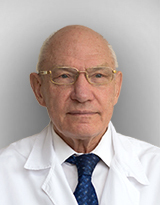 To present clinical guidelines of the Russian gastroenterological association ..."
"... effects, the time of the onset of GERD clinical remission, the dependence on the CYP2C19 genetic ..."
"... /day of Bicyclol for 24 weeks in combination with aerobic exercise and Mediterranean diet; 2 ..."
"... Aim of review. To analyze the proceedings of the 22ndUnited Russian gastroenterological week ..."
"... group patients received Phosphogliv 5 mg/day as intravenous bolus injection for 2 weeks, followed ..."
"... of an elevated level of bile acids (above 8 μmol/L) in the blood serum. Patients underwent clinical, laboratory ..."
"... the background of the staged endoscopic treatment, the stable remission of anastomotic biliary strictures (ABS ..."
"... , there are very few available clinical observations. At the moment, the treatment of Caroli disease is limited ..."
"... of a multicenter randomized clinical trial reveal that 12 weeks treatment with oral LOLA (6–9 g/d) results ..."
"... symptomatic treatment used for such states. The observational study lasted for 4 weeks. The Four-Dimensional ..."
"... The aim of review. To present modern concept on pathogenesis, clinical presentation, diagnostics ..."
"... among patients. The aim of review was to highlight features of pathogenesis, clinical manifestations ..."
"... clinical signs of ICP include pruritus and jaundice that develop most commonly in the third trimester ..."
"... ) in combination to RTV (100 mg) and pegIFN/RBV for 12 weeks that was followed by peg-IFN/ RBV for 12 weeks ..."
"... Aim: to demonstrate the clinical picture and the tactics of differential diagnosis between ..."
"... Aim of investigation. To study the effect of maintenance therapy on clinical outcomes of Crohn ..."
"... , therefore there are no standard diagnostic criteria for EPN. In clinical practice EPN is diagnosed according ..."
"... enzymes. Basic clinical manifestations of PEI include maldigestion and malabsorption that lead ..."
"... Aim of clinical case presentation. Choice of optimal surgical approach for treatment of intestinal ..."
"... of the world. Key points. It is established that there are significant differences in prevalence and clinical ..."
"... Aim of investigation. To estimate the clinical and prognostic value of carriage of various blood ..."
"... of left-sided colon cancer is reasonable regarding to the specimen quality. Similar clinical ..."
"... hypersensitivity (VHS) role at various clinical variants of irritable bowel syndrome (IBS). Material and methods ..."